Winter means dry porous and dull hair for many of us, but thankfully it no longer has to be this way! Mop (Modern organic hair products) have conjured up a Glisten Spray Gloss potion to put the sparkle back into any dull tresses skulking about this winter. It is also worth noting that Mop have designed their products with our earth and its future in mind and are trying to provide modern, simple and natural hair care whilst trying to keep their carbon footprint under control. Avocado oil helps to infuse every strand with brilliant shine. Wheat protein and amino acids give your hair strength and the ultra light mist calms those naughty fly away hairs. Unlike some other shine products on the market Mop also leaves your hair looking and feeling natural and not completely weighed down and clogged up with product. Not to mention its handbag friendly size too. 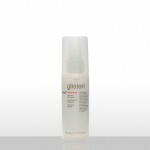 Mops glisten spray gloss is priced at £12.95 and is available for purchase from ASOS or from the Mop website.